Seattle Slate Falls (River) by Aqua Creations Is a fully self contained water feature with high end detailing that will become the main focal point of its chosen area. With 5 water fall ledges for the water to pour down from, this will give off a relaxing and soothing sound. 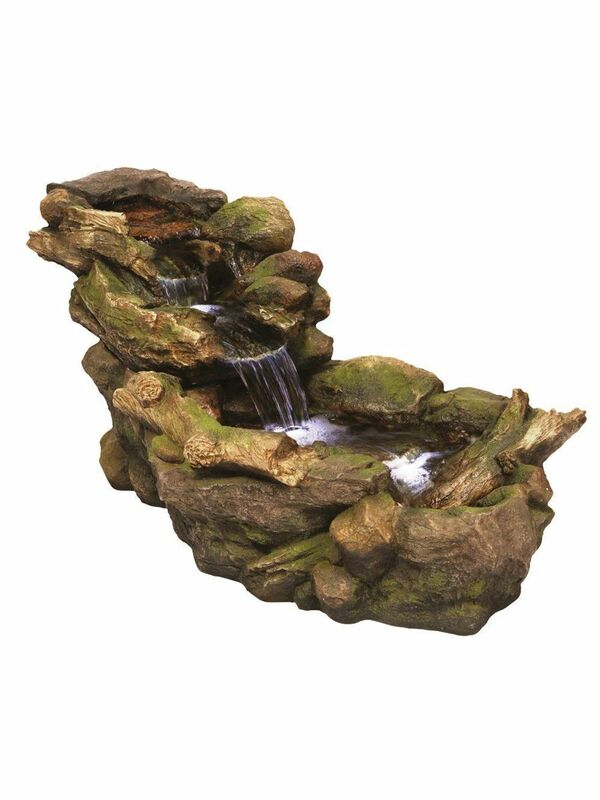 As the water is pumped up through the back of the feature it then pours out of the top ledge and cascades down each ledge to add that extra bit of sophistication to your garden, patio, office or home. 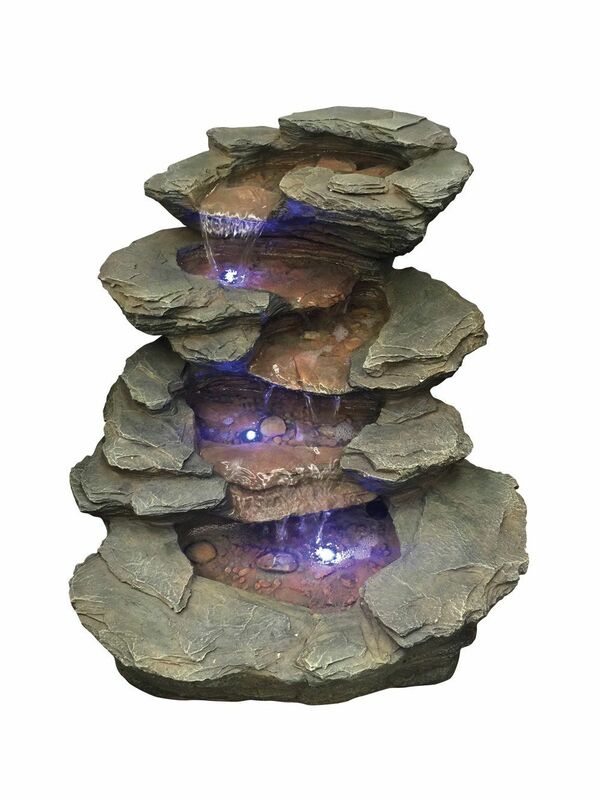 This feature is also supplied with 3 LED lights to light up 3 chosen ledges to give it that extra WOW factor.